Sara Khan, Bunnie Reiss and Pennylane Shen put down their brushes and cans to answer our questions about their work and much more. Pennylane Shen is an artist consultant (she established her company, Dazed and Confucius, in 2008), curator, educator and co-founder of Phantoms in the Front Yard – a figurative collective, including recently profiled Paul Morstad who are creating a mural for this year’s event. This year she is adding VMF curator to her extensive CV, as one of a tight three-person team solicited by the organizers to bring their expertise and unique perspectives to the festival. What makes this year’s festival different from the past years? The inclusion of an outside curatorial team, allowing for more attention to be paid to pairing artists with specific walls. In addition to considering whether my own six selections were cohesive and yet still diverse, I had to take into account the style, size and location of the wall assigned to each artist to see whether it was appropriate. Some walls, for example, require using only spray paint – which limits the style that can be done as well as the skill set the artist must have. Other walls are located amongst several other murals, in which case the artist’s work must cohesively work with the others around it and still stand out. How much input do the building owners/residents have in the artist/art that graces their building? How much creative freedom are the artists afforded? I’m lucky to have the great VMF staff liaising with building owners. Their tactful approach allows for most of the creative decision making to be done by the curators and Artists. What was your biggest curatorial challenge? Typically, my curatorial approach involves working very closely with the artists to develop their ideas and see them through to the final product. A couple of my selections this year were not ones I had worked with before, however I felt it important to include them. Due to the time constraints on securing walls, it was difficult to find an opportunity to work with them one on one. What mural are you most excited about seeing? I don’t have any specific ones as I’m excited to see them all, however a few highlights from my selections: Sara Khan and Michelle Nguyen have styles that I’m very curious to see translated to the large scale of the wall. I am also looking forward to Danielle Krysa, the jealous curator’s, five mini walls involving wheat-paste collage, text, and often the recognition of the viewer. What sort of impact do you hope that this year’s festival will make on the city? I hope that it shows that the city and its business owners are open and willing to support their community and artists. As Vancouver is so often associated with being a no-fun city, I think the festival should be a step away from that. VMF seems to be very interested in promoting the strong female presence within the artist lineup. Why, in your opinion, is it important to support female artists? Female artists, like many other groups as well, are often under-represented in visual culture. Particularly on large scale mural projects, the international street-art scene has been predominantly male. I feel it is especially important to include, represent and advocate for artists of various backgrounds including women. 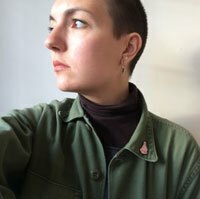 What has been your experience, as a woman, with the art community in Vancouver? In early days, in New York and Vancouver, I played the role of the gallery assistant or “gallerina” often given to young female aspiring curators. However soon after returning to Vancouver, I worked my way up in high end galleries to become a curator amongst mainly female curators. Refreshingly, the Vancouver fine art scene includes many female directors and curators in important positions. Traditionally, girls and women have been culturally conditioned to take up as little space as possible in the public sphere – some might say that having a female artist’s art covering a building facade is a “radical” act…Where do you stand on this issue? Are you an activist? If being a proud feminist is considered “activism”, I suppose I am. However it just seems like it should be a given at this point. I don’t necessarily think murals by female artists are radical, as many cities have worked to incorporate gender equality into their public artworks. I think perhaps it is important to start steering the conversation towards other unrepresented groups in this sector. Do you think that there should be quotas on female involvement in festivals like this? If it is still an issue, and I do not believe it is in this city, then yes, quotas should be set. However, to me, that is the purpose of bringing in curators with experienced and varied backgrounds, in order to select appropriate artists with all factors considered. Do you think that there should be quotas for diversity in festivals like this, among the participants and/or the curators? How can you see that realistically being implemented? Within Vancouver, or at least the Mural Fest, it seems to have happened organically. This year the VMF staff have been very aware of the need to include artists of diverse backgrounds. As this is the first year they’ve have curators, I think it shows that it is very possible to implement successfully. I am not certain that a quota is needed if festivals work with a board that is socially conscious. While implementing a quota for diversity can be a good idea, I do believe that the quality of work should come first and foremost. What conversations do you hope to open up and to which groups should we be shifting our focus? If viewers do a bit of research into the artists behind the murals, I hope they are inspired by each artist’s individual story and unique cultural background. I hope it exemplifies a diverse group of artists from various ages, ethnic backgrounds, classes and walks of life, who work in intensely different mediums. In the arts sector: in addition to women and other highly under-represented minorities, I would like to see the focus shifted towards artists who discuss important issues, conceptually or otherwise, in their work. Ones that they are clearly passionate about, and perhaps have shaped their practice. What can the general public, art viewer and art lover do to promote diversity and inclusion in the public art realm? Attending public and artist-run gallery shows and artist-talks helps a lot. Generally, public galleries have a mandate to promote diverse groups of artists discussing issues of a socio-political nature. I think supporting perhaps some arts events that are not purely aesthetic or commercial helps generate awareness and more importantly, educates a wider audience about the current climate of the art world. Where do you think that Vancouver fits into the global public art scene? How do you see that changing/improving in the next five to ten years? Vancouver has a modest but very rich and fascinating history of printmakers, painters and photographers. I think we’ve coasted off the Vancouver School for some time (deservedly so) however I hope the next decade brings some more exciting names and works to the global conceptual art table. If you could model Vancouver after any city, as far as public art goes, which city would it be? Perhaps Porto or The Hague, without the obvious historical elements. Like Vancouver, both cities have a large tourism draw due to their location and natural elements and a modest modern art scene but lots of potential, and certainly the money to do more. What is your favourite piece of public art? As a shout out to a local Vancouverite – perhaps the Mirror Maze – 12 Stages of Depression by Ken Lum. If you could be granted permission to adorn any Vancouver building, which would it be and why? Likely the Trump tower as it would be such an impossibility and because it is quite hideous. Los Angeles-based artist Bunnie Reiss’ murals feature flora and fauna interpreted in a folkloric style that is most obviously influenced by Danish illustration, but which also contains a distinctly personal and worldly narrative. Reiss’ VMF contribution will be adorning the Fader Mountain Music Studio building on West 7th Avenue (near Columbia). Whereas Reiss’ images, scaled down, would be easily suited to housewares or as embroidery, on the other hand local artist Sara Khan’s colourful paintings resemble the crazy quilt of your wildest imagination. Khan’s choice medium of watercolours lends a dreamy feeling to her landscapes which perfectly suit her surreal compositions; the translation and transition of materials and application is one thing that makes first-time muralist Khan an especially intriguing one to watch at this year’s festival. You can check out her masterpiece on the BC Insulators building at 233 East 11th Avenue. Tell me a bit about your background. Bunnie: I was born in Maryland, but raised in Colorado. My family is Eastern European, with a strong community and family background. My art, symbolism and colors have always been influenced by my heritage. I was a tiny rebel with a large imagination, and knew from a very young age that I didn’t exactly fit in to my immediate surroundings. I also knew the world was a much bigger place, and began traveling extensively as soon as I was out of the house. I studied literature, magic, mysticism and the stars, and eventually left my home for good and relocated in San Francisco. It was an incredible city when I moved there, and my formative years of making, creating, painting, performing and generally coming into myself as an artist happened there. I received my MFA in painting from the San Francisco Art Institute, moved to France to study for a while, and eventually came back to the US. About 4 years ago I was ready for larger mural walls and projects, and decided Los Angeles would be my new home. I recently bought a home in Joshua Tree, and split my time between the city and the desert. I feel lucky and grateful everyday. Sara: I am from Pakistan, I grew up in Lahore, and moved to Vancouver four years ago. I was encouraged to draw and paint from a very early age, by everyone around me, especially my parents. My father would buy us beautifully illustrated children’s books, and I believe that is where my original inspiration comes from. I went to the National College of Arts in Lahore for my BFA, my major was painting, and minor printmaking. How did you get involved with this year’s Mural Fest? Bunnie: Danielle Krysa, The Jealous Curator, interviewed me about a year ago and we really hit it off. She got in contact several months ago and asked if I would be interested in painting a wall in Vancouver. I was, of course, super excited. Sara: This very cool lady called Pennylane Shen, who is one of the VMF curators picked me and encouraged me to go for it. How much did the actual building and/or its owners/residents factor into your design? Bunnie: The design is 100% from my wacky brain and I am grateful to the music studio for being happy with the concept! Sara: I sent my first two, three drafts to one of the VMF curators, and we went over it, punching up the colours, changing the composition here and there, then the VMF organisers sent the final draft to the building owners, they were fortunately very happy with it. Traditionally, women have been culturally conditioned to take up as little space as possible in the public sphere; some might consider having a female artist’s artwork featured on a building facade a “radical” act. Where do you stand on this? Do you consider yourself an activist? Bunnie: It’s a sad time when having a female paint something large is considered ‘provocative.’ I often deal with this over and over again, as there just aren’t very many women painting on the streets. I have to fight for big walls and equal pay, knowing full-well that in the end I will be working 3x as hard to get these opportunities. It’s a tough part of the process, but I feel very strongly that your voice is often the only thing you have when it’s all said and done. It’s well worth it to me to fight for these opportunities, and to get to paint large, beautiful images for the world to enjoy. I try not to pay too much attention, but when you have found the thing you want to do most in the world, not much can get in your way of achieving it. Sara: I don’t think I consider myself anything other than a human being. I know I love working as an artist, although I am always broke haha, I still can’t imagine living any other way, but I know circumstances can even change that. If painting a building façade, specifically as a woman is a radical act, I hope and wish all women would come out and start painting walls. If this makes me an activist, I totally embrace it. I find it extremely frustrating when anyone sees another individual as a woman or a man before seeing them as a person. Ideally, what sort of impact do you hope to make with your contribution? Bunnie: I want people to take a minute to slow down, think about their day, their family, their community. I want people to feel good when they look at my wall. Sara: I believe exchanging our personal stories makes the biggest difference to how shared community spaces function. I connect to people through my paintings, they are usually the starting point of a dialogue about whatever we have in common as humans. It doesn’t matter where we’re from, or how we grew up, there are certain universal attributes we will always find similar in each other, that bring us closer, eliminating suspicion or uncertainty. I hope I can do that through my mural, open more doors to more stories. What has been your experience with being part of an art community? Bunnie: I’ve never really known any other way of living. We can’t navigate this world on our own. It’s way too hard. Having community to support and be supported is incredibly important. Sara: It is amazing being part of an art community because of the ideas you can constantly bounce off each other, the feedback you can easily get your hands on, as well as the amount of help available at your fingertips; the advantages are innumerable. Your heritage seems to play a very big factor in your aesthetic…how important is it to you to communicate your roots, personal identity and diversity in general through your art? Bunnie: I think looking closely at your heritage will give you all sorts of answers to who you are and why you are drawn to certain things. I love that my art reflects the world I have grown up in, from fairy tales, bright colors, patterns, embroidery, etc. I also really love reinventing my heritage into my modern world. Combining it with things I see in my travels, the magic of the desert, and my current world in LA really makes it feel as if I am living in both the past and the present. Sara: My heritage plays a factor just the way being a woman does. I don’t think I do it consciously, it is just a part of me, so it just seeps through in the story telling. I think breaking yourself down to get to the very core of you, figuring out what you love making, and accepting your influences in their entirety is very important for a genuine, impactful narrative, which in turn leads to effective art. How much does your identity as a woman factor into your artwork? Sara: I think it factors in more because my work is autobiographical than anything else. My perspective is obviously very female. For example, the fact that I have a uterus makes me think of things like reproduction in a very different way to how my husband perceives it. Or certain female authors resonate with me far more than male authors because we have more in common. How do you want your piece to make people feel and/or what conversation do you hope to inspire among the public? Sara: I would ideally like people to think about how we are all going to become one with the earth and nature one day, eventually it will take us over, so perhaps we could try being kinder to it, respect it while we are alive, remember that it is far greater than us. Bunnie, you’ve painted murals around the world and on less conventional applications, like cars. Where in the world haven’t you been that you would like to visit and/or create a mural? Bunnie: I would love to visit Poland and Russia, and paint a murals in both places. It’s where a large number of my family is from. Japan is also very high on my list. If you could have your artwork featured anywhere, in any application, what would it be? Bunnie: I would love to paint stages for big music concerts and award shows. I think painting backdrops for others to perform in front of sounds super fun. I’ve been on the hunt for a house to paint, from top to bottom, including creating a sculpture garden, lawn art and painting all the way out into the sidewalk. Sara, in the past, your work has been smaller scale watercolours…How has working in such a large scale affected your creative process? It’s pushing me to figure out how to adapt my visual vocabulary to the medium and size instead of the other way around. I am coming up with new ways of doing layers that are conducive to such a large scale, with paints that aren’t translucent at all. I have also always thought myself happiest working on my own in my studio, and never expected to enjoy working with friends (some of them are helping me with this mural) or being outside in a public space so much. This is encouraging me to open up to collaborations, and new ways of expressing myself. Also, my body feels great, I’ve never been this active in my life! Does having your work present in such a big and public scale make you feel more pressure to communicate a message and/or represent yourself in a certain way? Sara: No. Content wise I am satisfied with what I am expressing. The only pressure I’ve felt is to do the wall and the public space justice because it is such a different medium. All I am hoping for is that I can make it look like my own work and can translate it into successful mural at the same time. What has been your biggest challenge and/or creative concession? Sara: Myself. Forgetting what I do this for, that it is not for shows, money, or even accolades, it’s for my well-being, to live a life of fulfillment, and the rest just follows. If fall into some sort of a rat race, and let those things come in the way, everything gets muddled up and murky. What has been the biggest obstacle that you’ve encountered in your career? Bunnie: Surviving financially will always be hard. You have to work so much to keep going. It’s honestly crazy how many hours I work! But I wouldn’t trade it for anything. Sara: Moving to Vancouver and seeking an art community here, finding my bearings in a new city. It turns out it’s been the best thing for me. I was lazy back home because of my automatic connections from art college. Doing everything from the ground up here has not only taught me a lot, but also allowed me to get rid of a lot of my BFA hang ups. I do what I want to do now, not what my art college expected me to. The most rewarding moment as an artist, so far? Bunnie: I had a 9 year old message me to create a poster for her baked goods she was selling at the local farmers market. She wanted to pay me with her allowance, but I asked for payment in rice crispie treats instead. Sara: If I am very honest, as much as I love getting shows at galleries or selling work or getting accepted for something I may have applied for, the most rewarding moments have turned out to be the ones where people have come up to me and told me how much a piece/painting has resonated with them, how it has connected with them, reminded them of their past, or made them think of someone or something close to their heart.